PENTHOUSE UNIT! PRIVATE BALCONY! Pristine rental! This unit is in perfect condition. Both bedrooms on first floor. Very large private penthouse balcony.Stunning Gulf views! 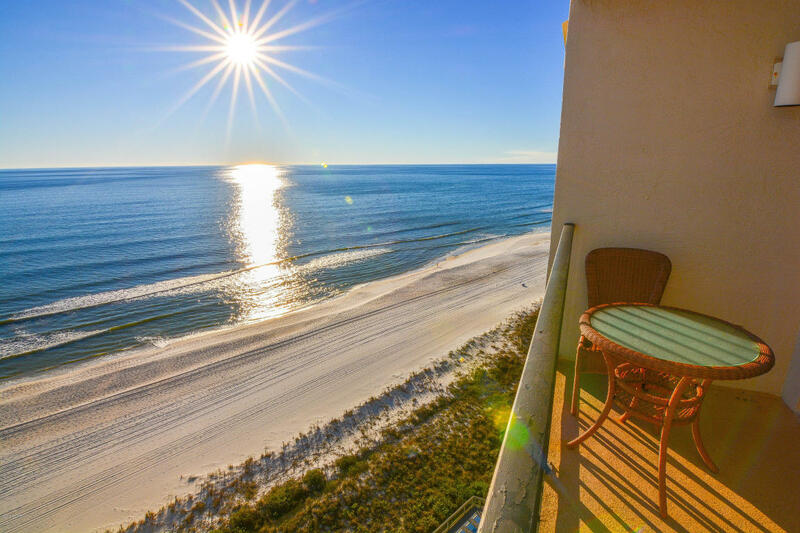 Edgewater Beach Resort is Panama City Beach's largest and most popular beach-front vacation destinations. Exclusive amenities include waterfront tropical lagoon pool, heated pools, hot tubs, sun decks. Oceans Restaurant, poolside beverages, market serving Starbucks, Paradise Pizza. The Club gives you a full gym, Zumba/Yoga studio, tennis, basketball, shuffleboard. The Kids Adventure Club keeps them happy with splash pad, sky trail rope course, arcade, pool deck events and activities calendar.